Is entrepreneurship a skill that can be taught, or can it only be learned by doing? When we started building our entrepreneurship education team in earnest at MaRS five years ago, there was much debate about whether entrepreneurship is a skill that can be taught, or if it must be learned by doing. It’s something we carefully considered in order to develop relevant entrepreneurship education for entrepreneurs at MaRS and across Ontario. Many people believed that entrepreneurship could not be taught; they believed it was simply too different from other subjects, and that much of the success of entrepreneurs could be attributed to innate personality traits (see studies on the entrepreneurial mindset here and here). Stories of young, successful tech entrepreneurs who had dropped out of school seemed to support this assessment. But over the past five years, demand for and interest in entrepreneurship education has only grown. Interest in teaching entrepreneurship has increased at all levels of education, and universities around the world are rapidly adding more programs and spaces to support their entrepreneurial students. All the while, our education program has been growing too—since 2009, the entrepreneurship education team here at MaRS has delivered almost 700 events and workshops, with a total attendance of 50,000 entrepreneurs in more than 14 locations around the province. There are more entrepreneurship education courses and programs than ever before, and demand for them continues to grow. Does this mean the question of whether entrepreneurship can be taught has been answered? There are those who are still adamant that entrepreneurship can’t be taught. They maintain that entrepreneurship is messy, uncertain and unpredictable, and therefore there is no single method or map to impart to burgeoning entrepreneurs, especially not from a professor or teacher who has no experience in the business world. Entrepreneurship is a team sport, not a solo endeavour, and it can only be learned by doing in the real world. The skills an entrepreneur needs to be successful go beyond the business skills that are “easy” to teach in a classroom (for example, finance, accounting and economics), and include people skills, like leadership and management, that are best learned through experience. It’s true that entrepreneurship can’t be taught in the traditional sense of sitting in a classroom listening to a lecture or by the typical case-study method used in business programs. It is very much an experiential subject that requires “learning by doing”—that is, action and interaction in the real world to find product/market fit. There are clearly limitations to using traditional educational methods to teach entrepreneurship. However, the vociferousness of the debate seems to have died down a lot in the past five years. I think part of this is the result of the success of some of the new methodologies and tools that have been created by entrepreneurs for entrepreneurs (the most popular being Steve Blank’s customer development methodology, Alexander Oosterwalder’s Business Model Canvas, and Eric Ries’ Lean Startup methodology), as well as the development of successful programs for entrepreneurs that include structured educational components (for example, Startup Weekend, NEXT program and incubator programs). These tools and programs have revolutionized entrepreneurship education by finding a more realistic way to support entrepreneurs, rather than the older, more passive, “research and write a business plan” method of teaching entrepreneurship. They aim to impart a methodology for getting out of the classroom and engaging with (and learning from) the market to build a business model over time; this process is more akin to the way real businesses are built than the old way of building a business plan and then executing it. At MaRS, our philosophy for entrepreneurship education has always been that although we can’t create entrepreneurs (entrepreneurs must be born with the necessary drive), we can offer the tools, information, networks and support to help entrepreneurs create successful business models, and hopefully help them do so faster and without some of the pitfalls inherent in the process. Whether people can only learn entrepreneurship by doing or whether they can learn it in educational programs seems like the wrong question to ask. Rather than being an all-or-nothing question, it’s more likely the truth lies on a continuum—some people learn all by themselves via the real world (and this is the best way for them) and others learn by a mixed model that may include learning the fundamentals in a formal educational setting, while also learning by doing. Entrepreneurship is being taught, whether formally or informally, more than ever. The lessons come from many places—mentors, peers, books and methodologies from entrepreneurs, along with more formal programs. I would argue that even those who are learning on their own are educated by learning from others’ knowledge and experiences, via formal and informal mentorship, peer support, and readily available resources and information. The mix depends on each entrepreneur’s preference of how much they want to tap into a more formal ecosystem of education. However, education, no matter how experiential, can never replace the real-world lessons of entrepreneurship. As Steve Blank says, you must get out of the building and into the real world. There was a time that an argument had to be made to show that business was something that could be taught similar to the way that law, medicine and engineering were. More than 80 years ago, Ralph Heilman, the dean of Northwestern University School of Commerce, wrote an article titled “Can business be taught?” He advocated taking the lessons of what worked for successful businesses, analyzing and organizing them, and then teaching them to the next generation of business leaders. Business schools have grappled with how business should be taught ever since, landing on a mix of theory, research and case studies in order to give business students a foundation of the fundamentals but also the opportunity to apply them in uncertain situations to prepare them for the world of business. There are still many critics of business school, who ensure that business teachers must continually search for the best way to teach a complicated and practical subject, always evolving and improving. Entrepreneurship education is undergoing a similar long-term evolution. Rather than asking, “can entrepreneurship be taught?” Maybe the better question to ask is, “what is the best way to teach and inspire the next generation of entrepreneurs?” The answer to that likely involves a hybrid model of formal and informal learning (via advisors, peers and customers), engaged in the real work of building a successful startup. New to entrepreneurship? 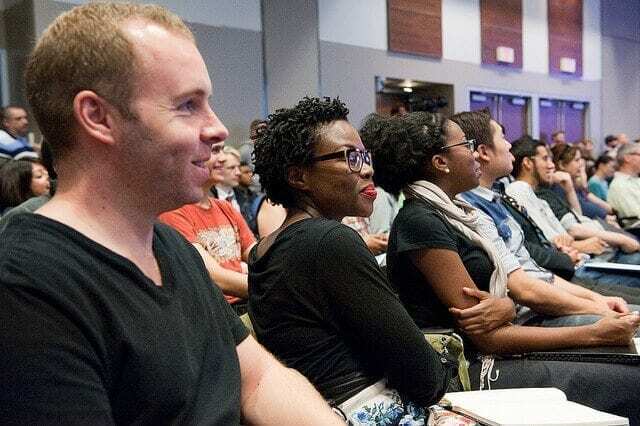 Check out some of our programs for entrepreneurs in the Entrepreneur’s Toolkit including our Entrepreneurship 101 lecture series, our Fall Intensive Program or our six-course Certificate in Entrepreneurship with U of T School of Continuing Studies.